I just bought app and xgps160, and want to buy now obdii adapter ... do you think wifi version will be better when gps is already on bt, or it does not matter? How cani benchmark my bt or wifi obd2 and see how fast is it? I am on android, Note4 samsung if matters. Re: OBDII BT or WiFi when using with BT XGPS160? I'd suggest BT devices whenever possible. You can run multiple BT connections at the same time and bandwidth is good enough to cover combinations from XGPS 160 and OBD adapters. WiFi is not convenient to use, it both will likely block Internet access and line drops are more frequent due to disturbing networks around. WiFi is faster and may add a few Hz update rate, but the more relevant parameter is the speed of your car's bus. How can i test/benchmark my speeds? i mean the car bus speed or the bt dongle i have? 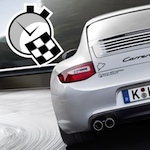 Is it function of lap timer, or external benchmark app? For OBD adapters, the first rate is the number of PIDs received per second. Gross Rate is the number of full parameter sets received per second while Net Rate is the number of unique full parameter sets. The later is the most important one and is shown in most other places. A full parameter set is made up from all PIDs exchanged with your car. Some adapters send cached copies of parameter sets, this is making the difference between Gross and Net. Finally, Request Rate is the number of requests sent by LapTimer to the adapter. It can be 0 in case the adapter is streaming data without individual requests, but will be roughly the gross rate for ELM based adapters.